What is the International Astronomical Union? IAU lobbies for science, decides international standards, and is most well-known for being where Pluto got demoted. 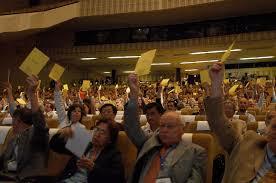 IAU works as a democracy, with all countries having votes.